National championships aren’t gift-wrapped. Though these perennial powerhouses may have their appeal, recruiting isn’t easy. Neither is signing. The fall will soon be upon us and Flotrack is ranking the top NCAA recruiting classes for the fall. Who will have an immediate impact on a team’s top five? What team is built for longevity? All statistics are based on the ASICS Fast 100 Rankings. The cutoff times selected were the 100th fastest marks in the country last season. See the complete list here. The last three years, the Wolfpack has had the duo of Ryan Hill and Andrew Colley leading the way in terms of All-ACC and All-American honors. But with the former gone and the latter on his way out, NC State needs to reload for the next few years. So it’s nice when there are a few new recruits to Geiger's Army. In the last 20 years, the NC State men have finished in the top-10 in the team results ten times. In the distance running doldrums of the ‘90s, they recorded a solid five top-10 finishes with the best coming in ’99 when they took third in the nation. Those were the glory days, huh? If these guys are looking to return to an era of national dominance, it’ll start with wave after wave of solid incoming classes. This fall is a good start. Editor's Note: For the second day in a row, a school's Sports Information Department deserves some praise for providing all of the stats. Thanks a lot, NC State. The Wolfpack’s five-star recruit. 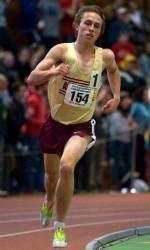 Thomson is a 12-time Kentucky State Champion, two-time Foot Locker finalist (he finished fifth last fall), runner-up at the ’12 New Balance Outdoor National 5k (14:34.78), state record holder in the 1600m, #2 all-time in the state at 3200m, two-time Kentucky Gatorade Runner of the Year, Mr. Kentucky Track, had his own The Decision, and a lover of jorts. Why not. 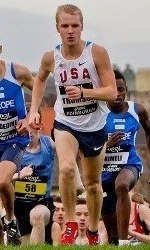 We'll add that he also represented Team USA at the Great Edinburgh Race, where he finished 12th in the junior race in 19:37.00. The North Carolina Gatorade Runner of the Year and NCHSAA State Cross Country Champion didn’t have the most incredible senior outdoor season, but don’t let that fool you. Abushouk is a 5k machine. On his home course in Cary, NC, Abushouk took fifth at Great American in 15:03.30. 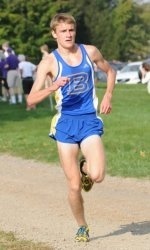 Later last fall, he finished in the unfortunate 11th spot at Foot Locker South in 15:07. 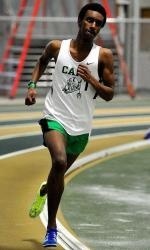 Then on the track against some collegians at Raleigh Relays, he ran 14:34.44, which was good for US#8. Plenty of potential here. Sibby Hanson is another cross country beast. Last fall, he finished sixth at the New York State Meet (15:46) and then came back a week later to win the NY Federation Championships (16:00) at the tough Bowdoin Park. He also finished seventh at NXN NY (16:08.60), but we didn’t find his name in the results from Portland. He hasn’t run anything too mind-blowing on the track (he did win the NYS Indoor Two-Mile in 9:13.43 and did run 9:06.20 last season), but he’s another guy that should benefit under Geiger. “Bueller… Bueller… Bueller…” - How we feel describing the Wolfpack's new recruits. Let’s start by saying that these are the broken records of descriptions. Not that there’s anything wrong with that, though. All of these guys are just tough cross country runners. While Link was the Virginia AA State XC Champion, his most impressive performance last fall came at the sloppy Nike Cross Nationals, where he took 11th and lead Sean McGorty-less Blacksburg HS to a 10th place finish. Again, he hasn’t run anything that'll blow your doors off (we're talking immediate-impact-on-the-national-scene sort of stuff) on the track, but looking through past results from the fall, he’s another tough guy who should eventually translate well to the 8k. Add in three solid redshirt freshmen - Sam Parsons (another one of Delaware’s finest from Tatnall), Craig Engels (3:45.51 for 1500m), and Sam Roberson (14:12 for 5k) – and NC State will be able to reload for the next few years. Could we see a return to the glory days of yore?